Rack mounting cage nuts,also called snap-in nuts or clip nuts, are square, for use with square rack holes. They have flanges on the side so they can be compressed to fit into the hole. When the nut is released, it securely hooks onto the square opening in the rack. At the center of the cage nut is a threaded hole where you can place the washer and screw. 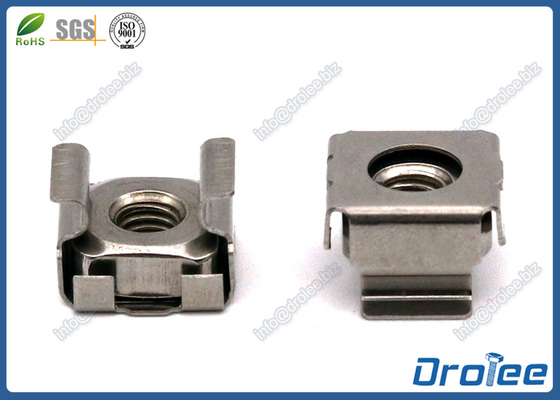 If you're insterested in our stainless steel snap-in rack mounting cage nuts, please do not hesitate to send us an email or call us directly.